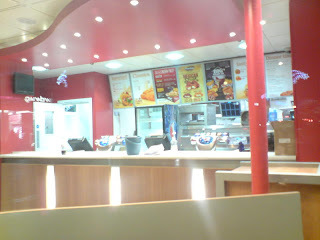 The WORCESTER PARK Blog :: KFC You Tomorrow! How's that for timing? The finishing touches are being made to KFC, which is reopening tomorrow morning. Even KFC sceptics will have to admit the facelift has done wonders for our favourite fast food outlet!